LifeNews.com Pro-Life Report for January 2 & 3, 2019 | What Did You Say? Pro-abortion politicians should repent for promoting the destruction of human life, Irish Catholic Bishop Kevin Doran said Tuesday.Click to Read at LifeNews.com. This year, the annual March for Life in Washington DC (Friday, Jan. 18) takes place on the first day of the annual Week of Prayer for Christian Unity (Jan. 18-25). Alana Edmonson initially considered an adoption plan for her unborn baby when she became pregnant as a young student. Her sister even offered to adopt her child. While a number of women’s groups are backing away from the Women’s March amid allegations of anti-Semitism, the abortion giant Planned Parenthood is standing in firm support of the event and its organizers. Nearly four years ago, when Planned Parenthood opened a clinic in her community, Ivette Rodriguez envisioned leading a pregnancy center to touch the hearts and minds of women tempted to end the lives of their unborn children. 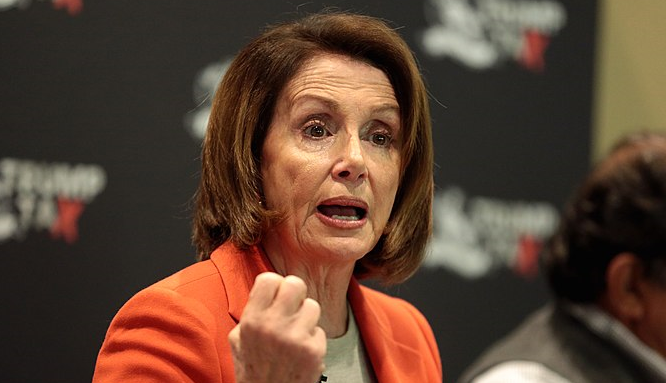 Nancy Pelosi has a long history of promoting abortion and she will continue to push a pro-abortion agenda as the incoming Speaker of the House.Click to Read at LifeNews.com. Pro-abortion Congresswoman Nancy Pelosi was voted Speaker of the House today in a vote that saw her narrowly defeat pro-life Republican opponent Congressman Kevin McCarthy. House Democrats plan to vote today to fund the Planned Parenthood abortion business into their bill to end the partial government shutdown. On December 28, an editorial in The New York Times broached an eight-part series on abortion rights that is positively astonishing.